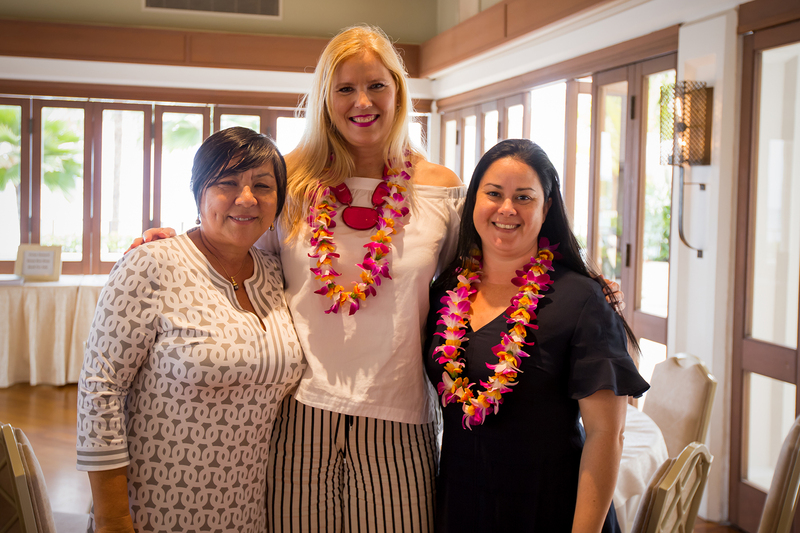 HONOLULU – Three Maui women have been honored with induction into the Hawai‘i Chapter of Les Dames d’Escoffier International (LDEI), an invitational organization of women leaders in food, beverage and hospitality. The three 2018 inductees from Maui include Lee Anderson, executive chef and owner of Sugar Beach Events; Elizabeth McDonald, pastry chef and owner of B3 A Beach Bunny Bakery; and Shonna Pinheiro Baltar, Slow Foods Maui chairperson. All three women were nominated for membership by Dame Dania Novack Katz, publisher and owner of edible Hawaiian Islands magazine. Dame Dania Novack Katz (left) with newly inducted members of Les Dames d’Escoffier, Hawaii Chapter, Lee Anderson (center) and Shonna Pinheiro Baltar, at the LDEI Hawaii annual meeting and new member induction, Halekulani Hotel, May 27, 2018. Photo by Dawn Sakamoto Paiva, Put It On My Plate. Originally from Charleston, S.C., chef Lee Anderson has cooked professionally for 25 years. Prior to launching Sugar Beach Events, the premier wedding and reception venue in Maui, Anderson was a member of the management team of Wolfgang Puck’s Spago at the Four Seasons Resort, Maui. Her diverse culinary background includes American Southern, Mexican, Italian and Pacific Rim cuisines. She is driven by a passion for inventive and creative cuisine—elegant, with a touch of whimsy. Elizabeth McDonald has been in the culinary field since 2003, growing up in Rhode Island, and attending culinary school in Massachusetts. McDonald’s Maui career began as the executive pastry chef for restaurateur Mark Ellman (Mala Ocean Tavern, Honu Seafood and Pizza). She is a recipient of the Star Chef’s Rising Star Award, which recognized her desserts showcasing vibrant tropical flavors with gluten-free and vegan options. B3 A Beach Bunny Bakery, which McDonald opened in 2014, specializes in cakes and cupcakes. A Maui native, Shonna Pinheiro Baltar has been part of the local nonprofit community for the past 14 years. She is currently a chairperson for Slow Foods Maui, and recently held the position of Non-Profit Liaison and Director of Marketing for Hawaii Sea Spirits, makers of Ocean Vodka. 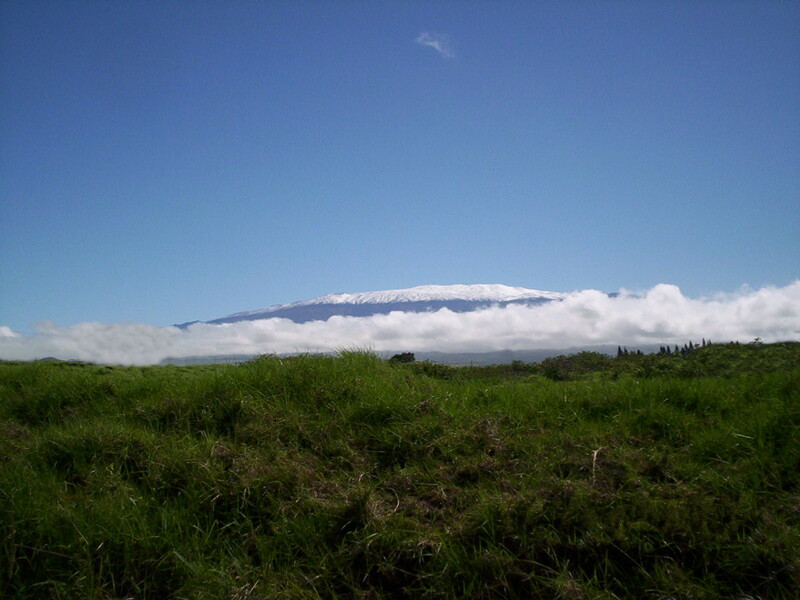 Baltar is also the vice president of Maui Bookkeeping Consultants, the largest independent bookkeeping firm on Maui. Dania Novack Katz, a proud Maui resident for more than 30 years, leads the James Beard award-winning food magazine, edible Hawaiian Islands, which celebrates the stories of people who grow, farm, ranch, fish and cook our Island food. Having joined the publication as director of advertising in 2007, when the opportunity arose to take over as publisher, Katz happily stepped up. Under her guidance, the magazine has flourished as a publication and provides valuable food knowledge to the local community. Les Dames d’Escoffier International is dedicated to creating a culture in the culinary community that fosters excellence and promotes the achievement of women in food- and beverage-related professions. From its inception in 1976, LDEI has been a membership-by-invitation, philanthropic organization providing education, networking opportunities and scholarship support. The Hawai‘i Chapter was founded in 2000 and includes more than 80 members from four islands. The chapter’s charitable projects include “Dames Who Donate,” offering scholarship funding and education grants for local women pursuing a career in food, fine beverage or hospitality, and the Green Tables program, an initiative to promote community health and well-being through focusing on the value of local farmers and encouraging the use of locally produced food. LDEI Hawai‘i holds several events each year, including dinners and gift basket sales, to support these philanthropic efforts. To learn more, visit www.ldeihawaii.org.